The pace of updates on this site might lead you to one of two conclusions – wither we’re all pretty much asleep and nothing’s been going on, or we’re (and in particular those of use with login details for the website) so busy that updating the site has taken a back seat. The latter is the case. 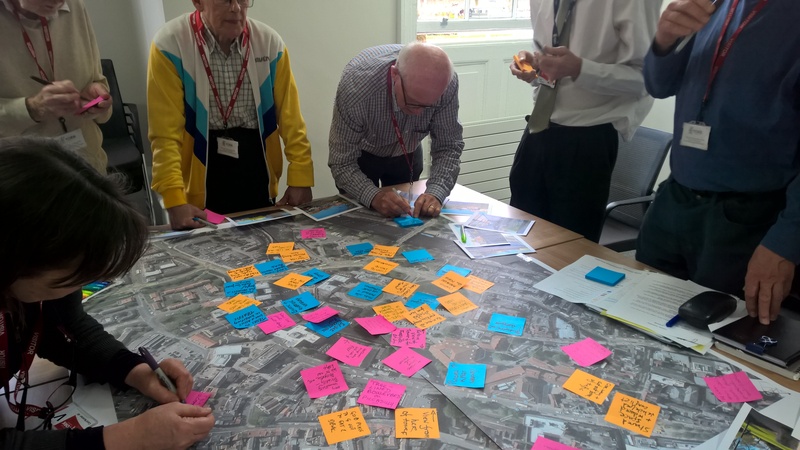 The Forum has had a busy year – involvement with community engagement on York Central and input into the Local Plan both being major tasks. The transport subgroup has been very active (working in partnership with Professor Tony May and the Civic Trust) and public transport in York has been a big issue of discussion and action. Natural environment has also been a big concern, with close ties with Treemendous York and action on Askham Bog. The Forum will be ending the year with discussions on transport planning and clean air – and if these are issues that interest you, please come along. Meetings are, as always, 4pm – 6pm on the second Tuesday of every month at West Offices. Next year will see changes, with current chair Phil Bixby standing down. Watch this space (or better still, come along and get a ringside seat!). As 2017 rushes past, continuing the all-too-established theme of apparently increasing chaos and uncertainty, the Forum continues to keep its collective eye on local issues while being mindful of the national context. The February meeting sees a Q&A session with the council’s Chief Executive, a presentation and discussion about the developing proposals for Castle Gateway (The Artist Formerly Known As The Southern Gateway) and a follow-up discussion to the previous meeting’s look at waste and recycling, with a personal viewpoint on behaviour change from Tom Waring, who has had many years at St.Nicks pondering this issue. Our March meeting will look at broader environmental issues which are of very specific interest to York residents – flooding and air quality, and in April we’ll be talking with the Environment Observatory to see how local data can help us understand – and hopefully address – local environmental issues. We are represented on the York Central Community Forum, and have been active in commenting on the proposals for York Central (both collectively and as individual members and representatives of local groups) and other local significant development proposals. We have been active in discussing proposals for some of the major sites identified in the draft Local Plan, and in encouraging local debate, a process we aim to encourage both via the Forum itself and via events in partnership with the My Future York project. If you represent a local group whose voice you’d like to be part of the Forum, or have skills or experience which you feel would be of value, then please get in touch. Expertise and information are increasingly precious. Lots has been happening recently. Members of York Environment Forum are over in Paris at the moment at the climate talks, and the last meeting featured a Skype hook-up with them to get an on-the-spot view of what the mood was and how Britain’s role within it all was being seen over there. Doubtless there will be reports at the next meeting – more good reasons to be part of the Forum.